I didn’t really believe it when people told me that love evolves. Married couples told me the love I felt for my husband wouldn’t always feel the same as it did on our wedding day or at any other point in our relationship. Then I found out it was true. Even as our love grows stronger, the days, months, and years that pass cause me to see Duncan in a new light, a light that shines with different characteristics and moments of magic at each step along our journey together. I look at our lives today and how different they are from seven years ago when we got married, and I fall in love all over again for new reasons. We joke about having a recommitment ceremony each year of our marriage, but the truth is we are always subconsciously evaluating what it is that we love about our partners and affirming our commitment to grow together throughout all of life’s ups and downs. So many of our life experiences are about moving forward, committing to a plan or recommitting to what we do and being able to move forward, fully invested in our lives. This can happen daily on a smaller scale or less frequently on a larger scale, like the renewal of a contract at work or your membership at the gym. As we close in on the High Holy Days, the question is what would it look like to renew that contract with Judaism? This week we read parshat Nitzavim, which is entirely concerned with how we treat our land, including how we reduce, reuse, and recycle and the results of our actions on future generations. This week we read about the continued warnings to believe in God and observe the mitzvot or else, as well as the idea that we have a choice between good and bad and life and death. The Torah tells us that we determine whether we live a full life through our good choices or die through bad. The section of text begins: “You stand this day, all of you, before the Lord your God – your tribal heads, your elders, and your officials, and all the men of Israel, your children, your wives, even the stranger within your camp, from the woodchopper to water drawer, to enter into the covenant of the Lord your God.” Why are we talking about a covenant again? Didn’t we already enter into the covenant with God at Sinai? Wasn’t it the moment of receiving the commandments when the whole nation responded together with “We will do and listen”? As the Israelites embark on a new experience in the land of Israel, this moment in the Torah serves to reaffirm the covenant they made with God at Mount Sinai. Our relationship with God, like other literal or figurative contractual relationships, requires retooling, reformatting, and recommitment. A relationship with God is not static; it is fluid and ever-changing. As such, this week’s Torah portion reminds us that we must be active in renewing our love for God and our Jewish community. As we approach the High Holy Day season, now is the time to take stock in our commitment to our religious community and our relationship with God and take action to move forward. How will you recommit in the new year? 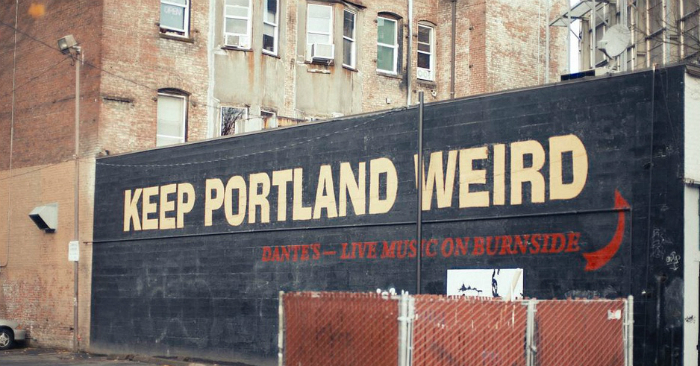 As we prepared for our move to Portland last year, the question nearly every person asked us was “Have you watched Portlandia?” We did actually catch some of the series to see what it was all about, but it’s after having lived here for over a year that the humor in the uniqueness of our city has become perfectly clear. One of my favorite quirks, albeit a confusing one, is the complicated waste disposal system in many restaurants, grocery stores, and coffee shops. Sometimes I honestly don’t know where my trash goes. Reusable? Compost? Recycling? Landfill? Even though I feel like I spend half the outing figuring out how to sort my dishes, this might be environmentalism at its best. And this is Portland. However, Portland is not the first place to hold its residents to a higher standard in regard to waste and sustainability. The Torah, and particularly this week’s parshah, Nitzavim, has concern for how we treat our land, how we reduce waste, and what the results of our actions will be on future generations. This week we read about the continued warnings to always follow God and observe the commandments, as well as the idea that we have a choice between good and bad and life and death. We’re instructed that the power to lead righteous lives is within our control. How interesting that a document that defines our past and present also asks us to anticipate the future. The Torah compels us to remember that what we do has an impact on future generations, and that our damage cannot always be undone. Yes, the idea of sorting every scrap of garbage makes Portland sound weird (and even makes for great television parody), but living in a world where we know the origins of our food and do our best to create a sustainable living environment also means that we continue to nourish and provide for our future generations. Not to mention you can put a bird on it.